You might be surprised at the effect that an invisible illness can have on your life. However, depression will affect your life, it can turn it completely into something totally unrecognizable. But this isn’t always a bad thing; your life, the situations you faced, added to how you felt and how your depression developed. To get better you have to accept the new way of life and the new way of coping with different situations. Depression is an illness that affects your whole life and your whole body, it might be an invisible illness that is difficult to spot, however, it is a powerful illness and for some sufferers, it is life altering too. Depression creates a vicious circle, you feel low and this makes you want to do less. Reduced activity is not good for depression and traps you in the depression cycle. You make poor food choices and these make you feel low adding to your mood. Sensitivity is something you will experience, even if you are the least sensitive person normally! You can suddenly find that the littlest thing can annoy you, irritate you or generally upset you. The feeling of low moods is not something to enjoy, but being depressed isn’t always about one feeling. A low mood has many levels and when you experience them you will understand the depth of a low mood. It is surprising how difficult it is to describe a low mood, it is more than just feeling sad. Some people describe it as a dark cloud that consumes them, for me it is more about the depth of sadness that I feel and how easy it is for me to try to cover up the true depth of sadness I feel. A low mood affects how you interact with family and friends and you can easily destroy relationships with a low mood. How you sleep changes, you might struggle getting to sleep or you might sleep more than normal. My sleep pattern has changed completely from before depression to now, but I am OK with that because I feel better about myself. Negative thinking is just part of depression that you will experience. You just can’t see the positive side to anything. With everything that happens, all you can focus on is the negative. It is something that I am fighting with daily to try to ensure that I look for the positive in any situation. I think this technique works well, I have tried similar techniques used in this book on cognitive behavioural therapy and I think it works! Spending time alone, you seek out the isolation, you avoid going out with friends and you stop making new ones. You begin to isolate yourself from the world making it difficult to function in society. 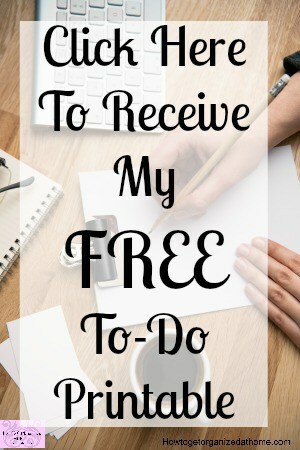 I have high anxiety and it is just one reason why I have chosen to work from home. There is less stress and anxiety and I am able to do work that I love. There is a stigma to mental illness, people are afraid to mention a mental illness. It can affect job prospects and social situations become awkward when someone is unaware of how to deal with mental illness. This affects how you feel and talk about your illness, you might try to cover up your true illness and not talk about it. Sometimes it is difficult to talk to medical professionals because you think they might judge you too! Even though depression is an invisible illness it, too, can leave scars that you have to deal with. You worry about becoming depressed again in the future and it can make you avoid stressful situations for fear of setting off a new episode of depression. I feared that I would never be the same person, but what I learned was I didn’t have to head backwards, instead I headed forward to a new me, leaving the scars behind. Depression has an effect on your diet, some people will overeat, choosing comfort from the food they consume and this is often high-calorie, highly processed food, potentially leading them to other dietary illnesses too. Other people just forget to eat, it does nothing to help them and it is not something they can remember to do themselves. Eating a healthy balanced diet will help to combat the feelings of depression. Depression takes its toll on your whole body, not just your mind. It might be a mental illness but when you look at the effect it has on you as a person, you realize that it takes control of your whole life and your mind and body too! Depression isn’t something that you will wake up and it has gone away, you need to ensure that you are getting the medical help you need and deserve. It can affect the people around you, they might find it difficult to understand how you feel. Those people who don’t understand depression might suggest that you have to ‘pull yourself together’. It is just not that simple, and while there are things that you can do to help yourself feel better, that doesn’t stop the fact that you must seek medical help and advice to help you through the difficult time in your life. Depression will affect your life, how has it affected you? Tell me in the comments below! Therefore, if you suffer from depression, whilst it is an illness that you don’t really see, it will affect your whole body and your life. It is not something that you can brush off and hope it will go away, if anything it will probably get worse before it gets better! Seek the help you need and talk to people about how you feel, it is the only way forward. Looking for more articles on this topic? Head over to the landing page where you will find links to other articles on depression. Depression will affect your life, I wrote another article I think will help! 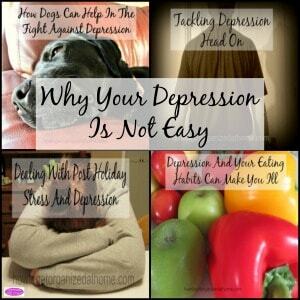 Why Your Depression Is Not Easy.